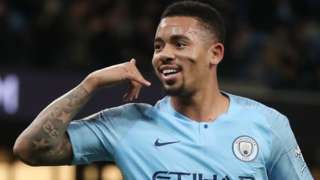 Gabriel Jesus scores twice as Manchester City eased past 10-man Wolves to cut Liverpool's lead at the top of the table back to four points. They were given boarding passes but found an empty space where their seats should have been. M40 Warwickshire southbound severe disruption, at J15 for A46 Warwick By Pass Warwick. M40 Warwickshire - M40 lane closed on exit slip road southbound at J15, A46 (Warwick), because of a broken down van. Traffic is coping well. M6 Staffordshire both ways severe disruption, from J14 for A34 to J12 for A5. M6 Staffordshire - Stationary traffic on M6 in both directions from J14, A34 (Stafford North) to J12, A5 (Gailey), because of all traffic being temporarily held and an incident. 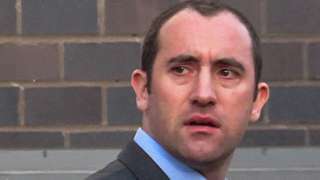 Dr Christopher Ball-Nossa pleaded guilty to six charges of making indecent images of children. 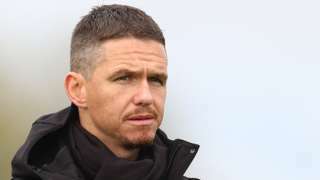 Marc Skinner's final game in charge of Birmingham City Women ends in a home defeat by Bristol City. 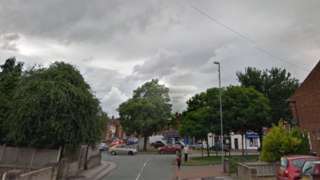 A 15-year-old was also punched after he and the stabbed boy were approached by a group of five. M6 Staffordshire - One lane closed on M6 northbound from J14, A34 (Stafford North) to J15, A500 (Stoke-On-Trent), because of a broken down vehicle. Traffic is coping well. M54 Staffordshire eastbound severe accident, at J2 for A449 Stafford Road. M54 Staffordshire - M54 in West Midlands lane closed on entry slip road eastbound at J2, A449 (Wolverhampton), because of an accident. Traffic is coping well. 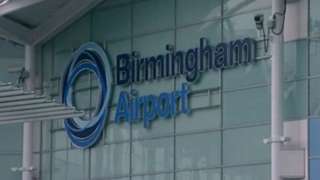 Thomas Kavanagh was arrested at Birmingham Airport by members of the National Crime Agency. Aslan was eventually discovered thanks to his brother, Arlo, sitting outside the container door. M42 Leicestershire southbound severe accident, from J11 for A42 to J10 for A5 Watling Street. M42 Leicestershire - One lane closed and slow traffic on M42 southbound from J11, A42 (Burton-Upon-Trent) to J10, A5 (Tamworth), because of an accident. M42 Worcestershire southbound severe disruption, from J3 for A435 Alcester Road to J3A for M40. M42 Worcestershire - One lane closed on M42 southbound from J3, A435 (Redditch) to J3a M40, because of debris on the road. Traffic is coping well. M6 Staffordshire - One lane closed on M6 southbound from J15, A500 (Stoke-On-Trent) to J14, A34 (Stafford North), because of a broken down car. Traffic is coping well. M69 Warwickshire northbound severe disruption, at A46 Coventry Eastern Bypass. M69 Warwickshire - M69 in West Midlands lane blocked on entry slip road northbound at A46, Coventry, because of a broken down car. Traffic is coping well. M42 West Midlands southbound severe accident, at J5 for A41 Solihull By-Pass Solihull. M42 West Midlands - M42 lane blocked on exit slip road southbound at J5, A41 (Solihull), because of an accident involving a lorry and car. Video caption: Catfishing: What happens when someone steals your identity?Catfishing: What happens when someone steals your identity? How confident do you feel your social media identity isn't being stolen by strangers?